Financing allows homeowners to pay for energy improvements over time and invest in higher-cost upgrades than they might be able to afford without it. Some programs offer tiered financing or rebates to encourage upgrades with deeper savings, with terms that grow more favorable as more energy saving measures are pursued. Tiered financing can encourage customers to pursue more ambitious projects. 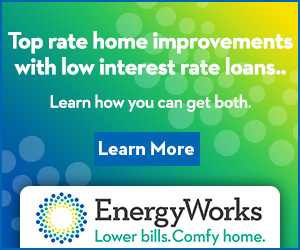 EnergyWorks Philadelphia designed two tiers of loan, tying the interest rate to the energy efficiency measures incorporated into a home. For example, projects that addressed a single component (e.g., a high efficiency furnace replacement) could qualify for a 4.99% loan. Borrowers for both loans were also eligible for rebates and tax credits. Homeowners who undertook whole home upgrades that addressed multiple household areas (e.g., HVAC and water heating) were eligible for a 0.99% interest rate for 10 years. Maryland’s Be SMART Home program offered two energy loan options to encourage a higher level of upgrades: the Be Smart Home ENERGY STAR loan offered a 6.99% interest rate for upgraded heating systems and efficient appliances; and the Be SMART Home Complete loan had a 4.99% interest rate intended for more comprehensive home energy improvements. After program staff spoke to borrowers about the benefits of a total home upgrade, more homeowners completed an energy assessment and decided to use the Be SMART Home Complete approach. Clean Energy Works (CEW) in Portland, Oregon, provided a series of incentives based on the level of projected energy savings. To generate interest in the program initially, CEW offered aggressive incentives ($3,200 for projected energy savings of 30% or more, $2,200 for 20-30% savings, and $1,500 for 15-20% savings), and early adopters were quick to apply. To stretch rebate dollars further, CEW eventually set the incentives at $1,250 for savings of 30% or more, $1,000 for 20-30% savings, and $500 for 15-20% savings. The tiered incentive structure provided customers with goals to aim for, with approximately 85% of customers reaching the 30% projected savings goal. In addition to being able to access incentives, program participants have access to low cost-financing through CEW’s network of lending partners to finance the balance of project costs. 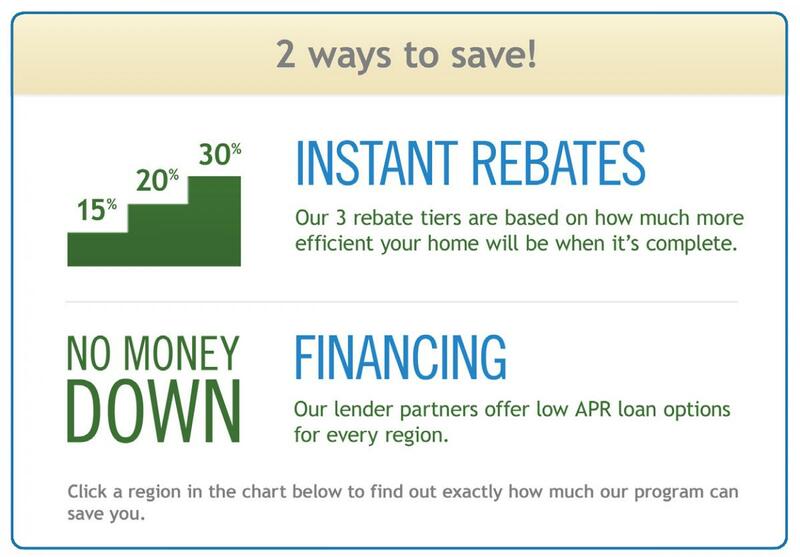 More than 80% of participants use one of the program’s loan products, a much higher financing rate than other programs across the country offering both financing and incentives. The program offers several moderately priced financing products, including a product offered by a regionally based bank that is able to offer unsecured loans with as low as 5.5% interest without a subsidy from the program. 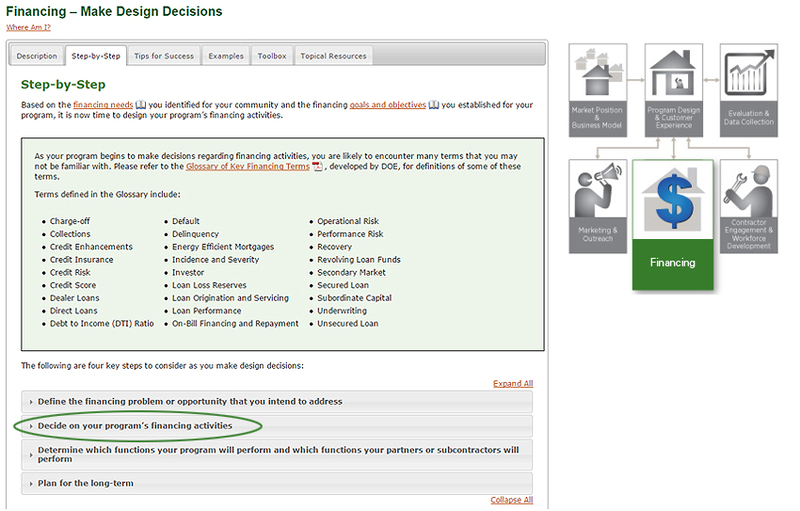 Discover more residential energy efficiency financing tips by visiting the Financing – Make Design Decisions handbook for step-by-step instructions and program examples about how to determine the best financing options for your program.